Our government is using the weather for population control and exists as a global nuisance for the primary purposes of causing severe bodily injury and premature death with malice aforethought. If you are new to this subject, this video "Climate Engineering, A Clear and Present Danger" is a recommended starting point for an overall summary presentation. The Truth is always best served when it comes from within a persons mouth! ” the U.S. Air Force wants to fully control the weather on earth by the year 2025. The self-destructive behavior of the human race (with some exceptions) has long since manifested into countless catastrophic consequences that are now closing in from every direction. Even now denial and apathy are still alive and well within the ranks of the masses. This is especially true with first world populations who have thus far been largely insulated from the harsh realities less fortunate populations have long since endured. Some within the halls of academia are finally admitting to the severity of threats we collectively face, but are still blatantly lying about the immediacy of those threats. New studies now admit that toxic nanoparticles in the environment are infiltrating into the very core of the web of life. Climate engineering is by far the greatest source of nanoparticle contamination, there is no place to hide. Is the military industrial complex preparing to initiate their final options? The latest installment of Global Alert News is below. The Fund for Innovative Climate and Energy Research (FICER) exists to accelerate the innovative development and evaluation of science and technology to address carbon dioxide and other greenhouse gas emissions and their environmental consequences. The non-profit research fund focuses on early-stage innovative research where relatively small and timely grants can significantly advance understanding, especially of the viability and scalability of proposals to address global warming. Grants for this research is provided to the University of Calgary from gifts made by Mr. Bill Gates from his personal funds. Irrefutable Film Footage (EXTENDED VERSION) Of Climate Engineering Aerosol Spraying from Geo-Skywatch/NE on Vimeo. In 2025, US aerospace forces can “own the weather by capitalizing on emerging technologies and focusing development of those technologies to war-fighting applications. Such a capability offers the war fighter tools to shape the battlespace in ways never before possible. It provides opportunities to impact operations across the full spectrum of conflict and is pertinent to all possible futures. The purpose of this paper is to outline a strategy for the use of a future weather-modification system to achieve military objectives rather than to provide a detailed technical road map. A high-risk, high-reward endeavor, weather-modification offers a dilemma not unlike the splitting of the atom. 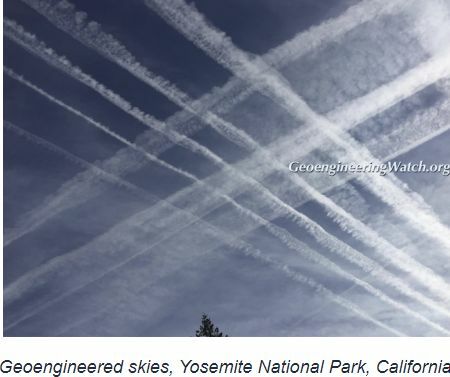 While some segments of society will always be reluctant to examine controversial issues such as weather-modification, the tremendous military capabilities that could result from this field are ignored at our own peril. From enhancing friendly operations or disrupting those of the enemy via small-scale tailoring of natural weather patterns to complete dominance of global communications and counterspace control, weather-modification offers the war fighter a wide-range of possible options to defeat or coerce an adversary. Some of the potential capabilities a weather-modification system could provide to a war-fighting commander in chief (CINC) are listed in table 1. Technology advancements in five major areas are necessary for an integrated weather-modification capability: (1) advanced nonlinear modeling techniques, (2) computational capability, (3) information gathering and transmission, (4) a global sensor array, and (5) weather intervention techniques. Some intervention tools exist today and others may be developed and refined in the future. In 2014, Global Skywatch called the 1995 report and explaination a lie and a form of manipulation. However, vast bodies of research now show that that is not the case and that global warming is a another globalist myth, a ponzi scheme to collect a Carbon Tax worldwide, placing the U.S. in the position of being the highest payer & benefitting the very same group hiding behind the "globalist" curtain. 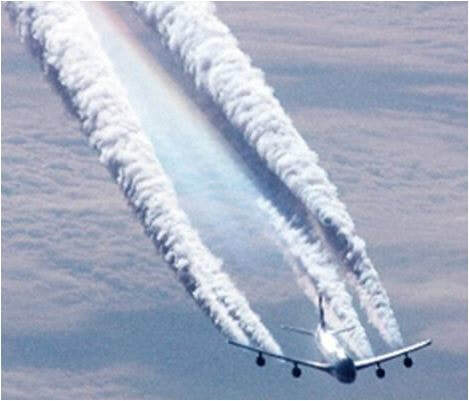 As a part of the myth the global warming “Carbon Tax” pushers have been spouting apparently can only be fixed by spraying deadly toxins in an aerosol particulate form into the earths atmosphere via large sprayer converted aircraft specifically assigned to perform Geoengineering tasks.